From Missouri to Maine, these laid-back houses are perfect for a weekend escape. 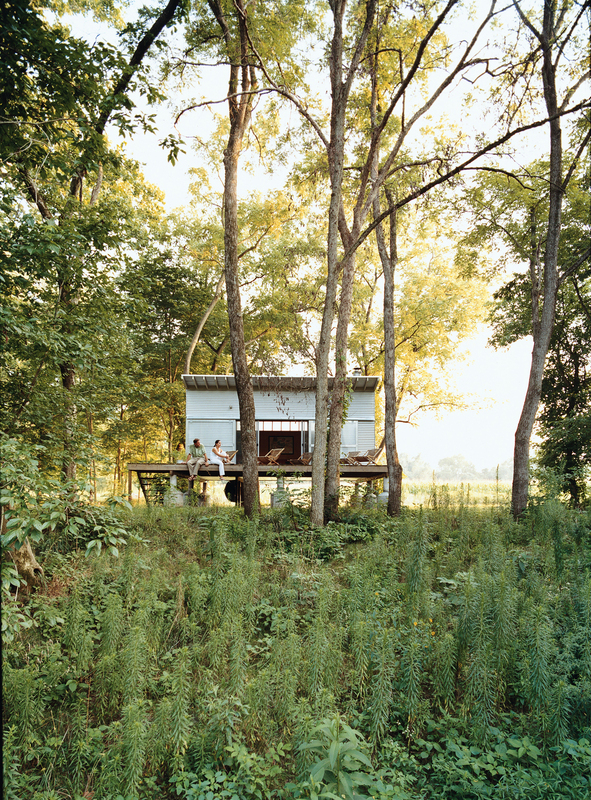 This prefab cabin in rural Missouri is only 312 square feet, so it fits in perfectly among the surrounding trees. The steel-clad Rolling Huts designed by Olson Kundig Architects in Manzama, Washington, sit lightly on the land thanks to wheels that allow the tiny residences to "hover" above the site, optimizing views of the landscape. In coastal New England, an artist turned a wooded property into a haven for creating and living. The house rises from a meadow as a series of timbered diagonals radiating toward the Gulf of Maine. A family matriarch enlisted an architect, an interior designer, a builder, and a landscape architect to help realize her vision for a diminutive, low-key lakeside getaway in Austin, Texas. Prefab construction simplified the building process of this northern Wisconsin summer home, where all materials required ferrying across Lake Superior. Architect Charlie Lazor opted for a wash of black on the exterior. Avid outdoors enthusiasts, a couple was looking to build a modest year-round retreat in Washington’s Cascade Mountains in order to make the most of the region’s vast network of hiking and cross-country skiing trails. Balance Associates worked to create an 850-square-foot cabin with commanding views that's well-adapted to the region.